Mention the word ‘Casino’ and it can conjure up images of underworld figures with bags full of laundered cash waiting to be paid to the next hit-man. Decades ago there may have been some truth in that vision. However, today’s gaming industry is the most heavily regulated and scrutinized business in the country (Fahrenkopf 2002). Casinos offer a vacation atmosphere that includes everything from family entertainment to high stakes poker. These centers of entertainment have a lot to offer the local communities where they are located. They lower the local tax rate, reduce crime, finance education and should be legalized in all 50 states. When anyone gambles, they always want to win. Of course, that’s not realistic and that’s why it’s called gambling. However, casino gambling can make everyone a winner. The amount of tax revenue that they can generate is phenomenal. Deadwood South Dakota built its first casino in 1989 when its city budget was $1.5 million. Just six years later the local budget had swelled to $11 million thanks to casino revenue (Ackerman 1999). That additional $9.5 million could be for needed improvements or local tax relief. Either way when Deadwood played everybody won. Critics of legalized gambling will contend that the crime rate increases when a city builds a casino (Kearney n.d.). This belief does not prove to be true. In fact, the increased revenue and law enforcement visibility makes crime more difficult to commit. The inside of a casino is some of the safest places in the world. The area has constant surveillance and monitoring. Outside the casino, the increase in scrutiny has actually resulted in a lower crime rate in many areas with legalized gambling. According to the American Gaming Association, “Statements by law enforcement agents in gaming jurisdictions across the country also refute critics’ claims that gaming causes crime” (Does the introduction). The stories of a higher crime rate are an old myth used by critics to discourage support for the gaming industry. Those that are discouraging gambling are taking money away from our educational system. Gambling has been one of the biggest sponsors of education and in some states it is the sole support of some programs. In Georgia, pre-kindergarten programs and the HOPE scholarship program are totally funded with gambling revenue (Ulbrich 1998 p.5). Clearly, when you gamble in Georgia, the children win. This scene plays out all across the country. Education is the biggest beneficiary of gambling in the US, and in 13 states all lottery proceeds go to education (Ferro 2007). Gambling is not just a game, it’s an investment in our children’s educational future. So the next time you hear the word ‘Casino’, don’t think of the dark shadowy past. Imagine a future where taxes have decreased and services have increased. The gambling of today is one of safest pastimes there is. It not only provides needed taxes for the community but gambling also contributes to a lower crime rate for the area. Sure there will always be losers in gambling. But now, the big winners are the kids through education and scholarships around the country. In the world of gambling today, everybody wins and it should be legal everywhere. Ackerman, W. V. (1999). Casinos have proven beneficial to Deadwood, South Dakota [Electronic version]. Legalized Gambling. from Thomson Gale. Fahrenkopf, F. J. (2002). Legalized gambling benefits local economies [Electronic version]. Gambling. from Thomson Gale. Remember, that essay you need written, it has a deadline! The more you procrastinate, the more the risk you will not be able to deliver the final essay within the deadline. You don’t want that; right! 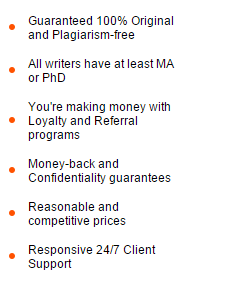 So simply trust our custom college essay writing company. Place your order now.